New York Archbishop Timothy Dolan, who closed out the GOP convention, is also giving the final prayer at the Democratic convention. President Barack Obama has a penchant for using high-profile prayer givers to send messages to the nation. At his 2009 White House inauguration, Obama called on Pastor Rick Warren to deliver the invocation, signaling an attempt to tamp down on the culture wars (Warren is a theologically conservative evangelical who was close to George W. Bush). Closing out the inauguration of the first black president was a prayer from The Rev. Joseph Lowery, a civil rights leader who worked alongside Martin Luther King, Jr. The Obama campaign sent us a list of who will be delivering the opening and closing prayers each day at this week’s Democratic National Convention. Why he matters: Nicholas is a leader in a giant global movement that has a tiny U.S. presence, with the Greek Orthodox representing a fraction of 1% of the U.S. population. But Nicholas is a symbol of the country’s rich religious diversity, opening the convention with a nod to minority religions. Why she matters: Nardella represents the young evangelical demographic that the Obama campaign is targeting in this election, knowing that older evangelicals are largely locked up for Republican presidential nominee Mitt Romney. Nardella started Blood: Water Mission, which focuses on combating the HIV/AIDs and water crises in Africa, at age 22 with the Christian music group Jars of Clay. Why he matters: Hailed as the most influential rabbi in America by Newsweek, Wolpe is a prolific author and media personality who's recognizable to many American Jews, who constitute an important voting bloc in some swing states and whose whose ranks include many big political donors. Though Obama won 78% of the Jewish vote in 2008, Romney is claiming that Obama has mistreated Israel and Republicans say they see an opening, especially among Orthodox Jews. Why he matters: Salguero is cutting an increasingly high profile in America’s Hispanic community, a crucial Democratic bloc whose evangelical ranks are swelling and who tend to be socially conservative but liberal on immigration reform, education and economic matters. Getting those voters is a top priority for Obama in swing states like Colorado, Nevada and Florida. 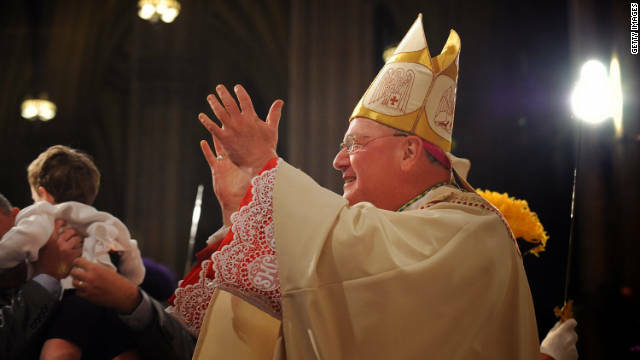 Why he matters: As the nation’s highest-visibility Catholic official in a year when the Catholic vote may tip the election, Cardinal Dolan is in high demand by the political parties. Just last week, he was in Tampa, delivering the benediction for the Republican National Convention. Dolan has blasted the Obama administration for compelling insurance companies to provide free contraception coverage to nearly all American employees, but having the cardinal follow Obama on Thursday is a way for the president to show he isn’t at war with the Catholic Church. Democrats at DNC must bring a prayer rug with them, I will bring Obama-Biden a little bit of luck aka muslim votes. Hey every vote counts!!! NOW. LET MY PEOPLE GO BARRAK HUSSEIN OBAMA – NOW! us, their seed, as an everlasting Inheritance. May He send His Angels with flaming swords to fight their battles, protect their land and inhabitants thereof.... may their enemies be scattered and confused, and heir weapons turned on each other instead. May their hearts become humble before Him and so tender, that they will hear His voice softly speaking to them, recognizing that it is He who is calling them, and restoring life again unto them. O, may they not shrink back and shut Him out as He shows them the prophecies of old, as His Spirit bears witness of the One whom they refused to look at for so long! May the name of Yeshua, the humble Servant of whom Isaiah wrote in chapter 42 and 53 of his book, penetrate deep into their hearts and may the veil that kept them from seeing Him be lifted and the light of God shines in, revealing His truth unto them. Oh, may His people Israel mourn for not seeing Him before, but rejoice for Father's love who restores life into them and calls them again to look at Yeshua, and not run from His tender voice. He will not scorn, He will not rebuke, but He will gather and heal , making all things NEW! This is the wisdom of our God! The (Greek) Orthodox church is not a "minority" church. The varioius Orthodox Churches in the US represent a minority in the US in terms of numbers. But when the article mentions global then it should reflect that the Orthodox Church worldwide has tens of millions of members. And, it is not some offshoot that came into being last week, last year, or even in the last century. So, in no sense of the word is Orthodoxy a "minority." Fearing additional attack on German soil, Germany offered Black September political upgrade of PLO, 'Der Spiegel' reports. IN THE FUTURE. LET MY PEOPLE GO. LET JONATHAN POLLARD GO. Not only are these religious whack jobs stuck in the middle ages but so is the carnivore mentality. I mean, "Cloudy With A Chance Of Meatballs?" SERIOUSLY?? I told my kids they're NEVER going to see a movie or read a book about hunks of DEAD COW FALLING FROM THE SKY. I can't tell if you are serious or just trolling. This makes me absolutely sick. Why are we having any prayers at the RNC or DNC? Not every American practices the same religion, or any religion for that matter. If the below is true, why did a group of people discussed & decided to take God out of the DNC's platform this year? Why was faith not a highlight in Obama's books? Our President is good at saying one thing and delivering another. God Bless America. imam of ground zero my guess! You are an @ SS of the first order. I find it interesting that this report has a "why s/he matters" section. It is sad that any person or persons would select a man or woman of God to preside over a convention solely because he or she would bring happiness to a voter based on their "mattering" – but that is what we are seeing. Funny how it is okay to bring God into a convention to entice voters, but a really bad idea for a school child to hear it at their weekly convention that we call school. I wouldn't recommend sending your children to public school. Attentive, loving and sacrificing parents are best for that job. Unfortunately most people these days are too selfish to actually raise their own children. Uh oh! What we have here, ladies and gentlemen, is a bona fide home-schooling whacko. Right here in River City. Roll up, roll up. Get your tickets now! No magical mystery tour here sparky! Do you refute my advice? If you do please state your point. Hey, why no reps for Santa Claus, Easter Bunny, Tooth Fairy, Zeus, etc. ? MagicPanties said: "Hey, why no reps for Santa Claus, Easter Bunny, Tooth Fairy, Zeus, etc. ?" Because the characters you mentioned are obvious works of fiction and/or mythologies. I wanna shout out to all my Atheist friends! HawaiiGuest, Tom Tom TPS, GOP'er where you cracka's at???? Whoot Whoot! Talking burning bush, vi r gin birth, a boat 440ftx73ftx43ft housing pairs of all animals on earth, walking on water, raising from the dead, stopping the sun from setting for 3 days, creation in 6 days just 6000 years ago, men blowing trumpet to bring down walls of Jericho, ad nauseam, are all obvious works of fiction and/or mythologies. So exactly WHAT was your point? My point is that the Bible is true. See wasn't that simple, just because your small mind cannot concieve of a broader reality beyond our senses does not mean everyone should be so dull. Next point? Would've been so much better to use one of the rebellious nuns instead of the phobic Dolan. Not a Mormon on the list. I would think the DNC would LOVE to push that in Romney's face-–unless they couldn't find a Mormon willing to do it.